l6B2A.1 Ralph Pratt, b 27 Aug 1800.
l6B2A.2t Thomas Allen, b 18 Dec 1802; d 8 July 1879 Gridley, Butte co, CA; m 22 Jan 1826 Jane Wallace; res IL and CA. 7 children. 16B2A.3t Rachel Hall, b 26 June 1805; d 13 Jun 1902 Columbia co, WI; m 27 Feb 1825 Jesse Van Ness; res WI. 5 children. 16B2A.4 Charlotte, b 18 June 1808; d 18 Sep 1876 Columbia co, WI; m William Sherman. 16B2A.6t Obadiah Griswold, b 28 May 1812; d____; m (1) Sarah ___ ; (2) 1865 Clara Bell Couch; res Chatham, NY. 16B2A.7 Lovina, b 22 May 1814; d____ 1897; m ___ Briggs. 16B2A.8 Sarah, b 27 July 1816; d 16 Aug 1816; died in 1843, not 1819 and was buried in Bigelow Cemetery ( see below). 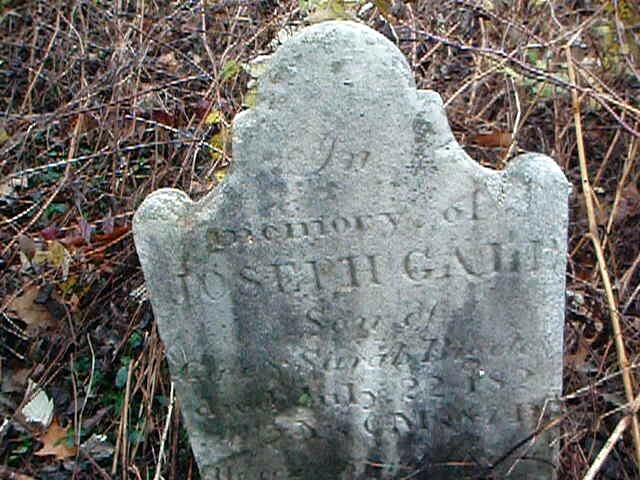 16B2A.9 Joseph Gale, b l4 Jan 1819; d 22 Nov 1822. 16B2A.A Esther, b 28 Nov 1820.
you by any chance have a current email address for him or a postal address. From what he wrote, I suspect he is a relative of Gale's of some sort. I have things in which he might well be interested, so I would like to get in contact with him. Subject: 16B2A.5 Elizabeth Mary.,b 5 June 1810. Subject: Gale, Thomas A. Bigelow corrections. Rod, Thank you for all you do to provide and maintain the Bigelow Society Web Site. I offer a correction. Gale (16B2A) and Susanna Elderkin Bigelow moved to "NEW Lebanon, Columbia, NY. The place is incorrectly recorded numerous times as "Lebanon" which is a town more east in current Madison County. This has led to numerous place errors being used by all researchers who copy this information. All references to "Lebanon" for Gale Bigelow, Thomas Allen Bigelow and all their children should be corrected to "New Lebanon, Columbia, NY.